Harold Pener Mens Wear is a privately owned and operated company in the fashion industry dealing with boys and men apparel. Harold Pener Mens Wear also does business as Perner's Men's Wear, Inc. Harold Pener Mens Wear owns and operates clothing stores where they offer designer clothing for men, baby boy clothes, boy dress up clothes and clothes for little boys. 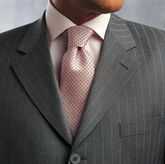 Harold Pener Mens Wear was established in the year 2004. Estimates show that the company has an annual revenue of about $10 to 20 million dollars. Harold Pener Mens Wear is owned by Harold Pener and some of the leadership figures include David Pener, the president and Barry Pener, the vice president. There are currently 1 consumer reviews about Harold Pener Mens Wear available. Share your review. Very nice place to shop for Mens clothing. Only downfall is the customer service I got. Purchased a pair of Shrink to fit Levi Jeans. Tried them on in the store prior.. Was told to get one size up so they could shrink to fit .Wrong answer.. Shrink to fit 2 or 3 sizes down. Maybe I read the label wrong. Just going on what I was told. Thought maybe professionals should know better then myself.Anyway called the store to let them know what happened. In short they told me tough luck sir. We got your money. 60$ . Don't make much so 60 is a big deal to me , compared to the bank of Mr Peners. All I wanted was to get an even trade on something else. Tough luck sir. Anyway still a great place to shop for mens clothing... Just the customer service was my issue. Please take a note that you are about to post a public review about Harold Pener Mens Wear corporate office on CorporateOffice.com. This review will be public, so please do not post any of your personal information on this website. If you would like to contact the corporate offices of Harold Pener Mens Wear, please use their contact information such as their phone number, website, and address listed above to contact them. However, sometimes staff from Harold Pener Mens Wear headquarters do read the reviews on this website.